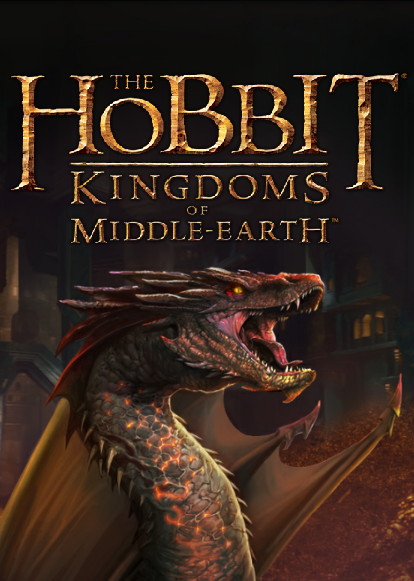 As promised in their forum post on future updates, Kabam just released update 10.0 (at least for Android) for Kingdoms of Middle Earth. The main feature of this update should be an Alliance center of some sort. Although no actual implementation of these features can be found in the game yet, some information screens hind at what is coming. Read more to find out what I know so far, and check up regularly on future, more detailed posts. 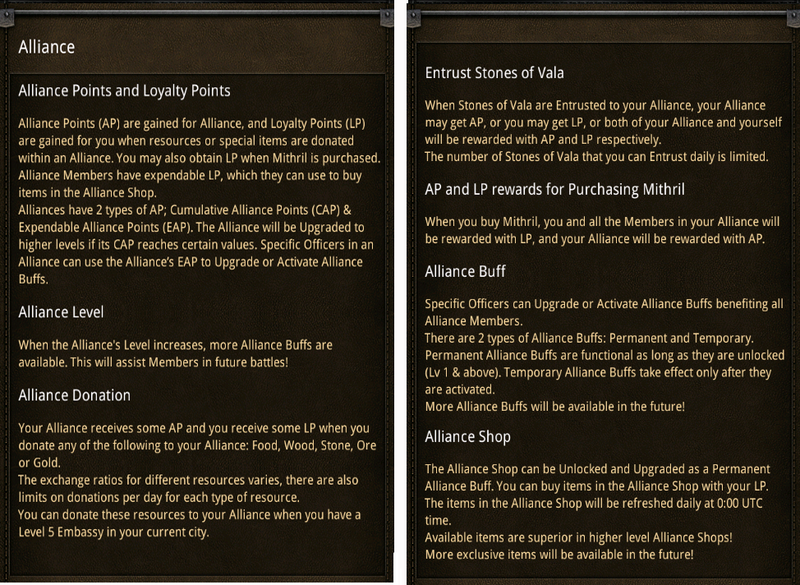 So I guess alliances are gonna get busy trying to upgrade their alliance level from now on, and players trying to share as much resources as possible to earn Alliance points and Loyalty points.What the “Stones of Vala” are I don’t know yet. The information looks promising, especially the Alliance shop, and together with other standing promises such as new campaign maps and up-gradable gear, will make for some very interesting additions to the game and gameplay! Another update, conveyed through an in-game email, states that the Premium game has been updated and improved. It should now give out items such as Shield Walls and high end gear, though, for the few six tokens tries I made, I did not see any significant change…Guess we’ll have to wait for a premium sale to find out. That’s it for now. I know, pretty limited information, but as usual, expect updates to the blog when I find out more! This entry was posted in Blog, General and tagged 10.0, aliance shop, Alliance, alliance points, alliance tab, alliance trade center, android, campaign, future updates, Galadriel, hero equipment, kabam, kingdoms of middle earth, KoM, loyalty points, premium game, premium sale, resources, sharing, stone of vala, stones of vala, token, update by beardmonkey. Bookmark the permalink. What about upgrading the hero gears ?